A few day ago (on April 4th to be precise), the UN marked the first annual Mine Awareness Day aimed at bringing more attention to ongoing efforts internationally to address the legacy of land mines, which, according to this BBC article, maims and claims 20,000 lives each year and imperils more than 80 countries. According to the Landmine Monitor Report of 2005, over 200,000 square kilometers of the world are likely contaminated by mines and unexploded ordnance (UXO). Countries with the largest mine-affected areas include Laos, Vietnam, Iran, Iraq, Cambodia, and Bosnia and Herzegovina. In 2004, at least 135 square kilometers of mine-affected land were cleared. Afghanistan reported clearance of the largest amount of mined land (33.3 square kilometers), followed by Cambodia (32 square kilometers). 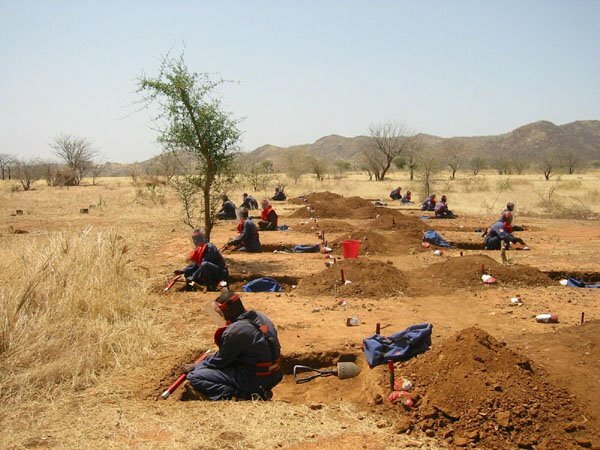 At least 140,000 antipersonnel mines, 50,000 antivehicle mines, and some 3 million items of UXO were destroyed during clearance operations in 2004.